If this pleated skirt looks vaguely familiar to you, it might because I have the dress version in the same multi-colored stripe print. In fact, I featured this dress last month in a post entitled Target Does it Again. Clearly Target did it again and again because I like the pattern so much that I also bought the skirt version of the dress! 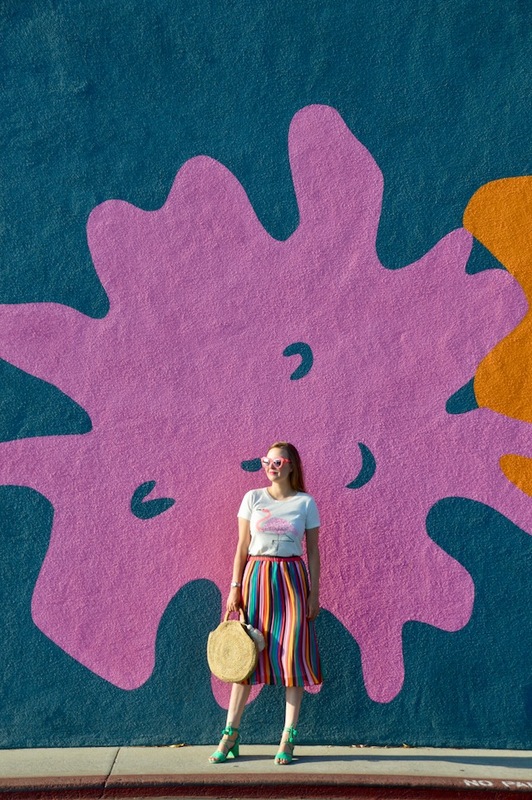 One of the things I love about this skirt is that it looks fabulous with just about everything, including this fabulous paint splat wall! 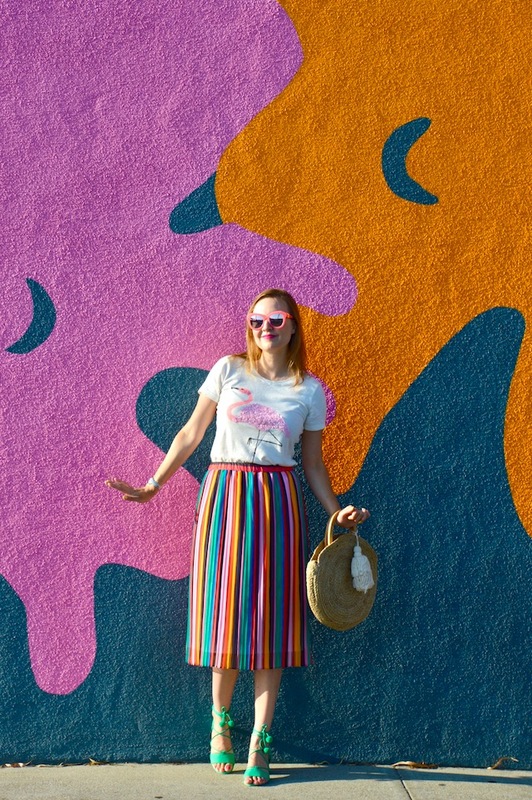 In addition to matching with the mural behind me, I feel like this skirt was made to be worn with a statement tee. 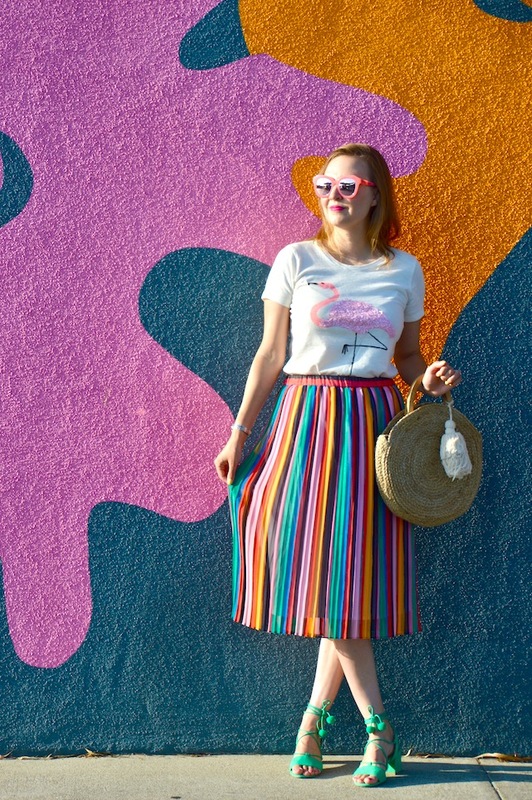 I tried the skirt with about three or four different statement tees and ultimately came to the conclusion that I wanted to wear it this time with with my pink sequin flamingo tee. Truth be told, this combination wasn't totally my idea, as I stole it from one of the outfits I saw on Talizat's Instagram. I love Tarilyn's style and we also have very similar items in our closets, so it's easy to just shop my closet and recreate many of her looks! 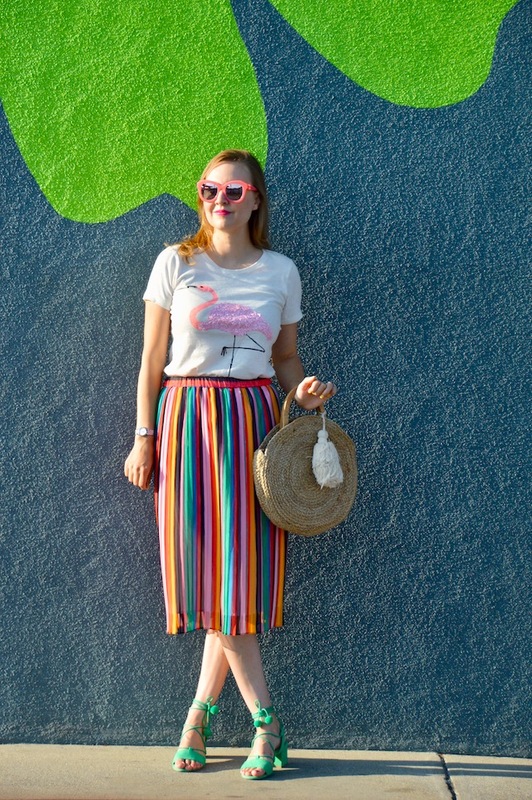 Luckily, we both had this flamingo tee from last year, so it was simple to put this outfit together! 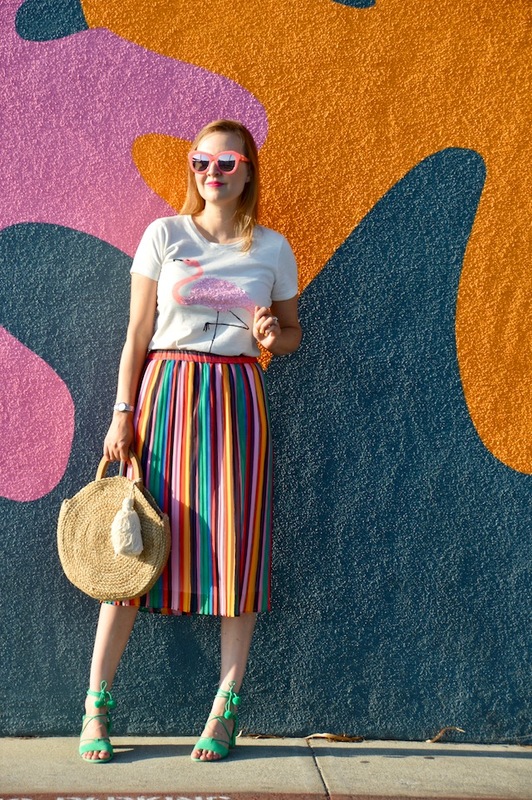 If you also have the tee, feel free to copy or be inspired, or check out some of the other flamingo tees I'm linking to below! This is an adorable look! 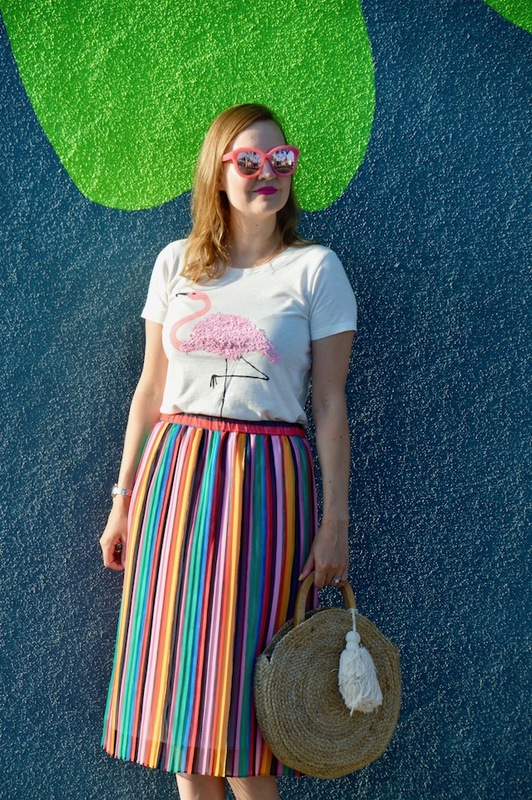 Love the flamingo graphic tee and the colorful stripes on your skirt has given me all the heart eyes! Target has been killing it lately and I love it! Happy Weekend! Fabulous look! I am so glad that pleated skirts are here to stay! They are fantastic!